Need a garden shed in Melbourne? 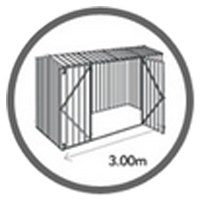 We can deliver your shed - free - to a pickup depot here in Melbourne, Victoria. We also can install your shed (see below) or provide a concrete slab (100mm deep with reinforcement). 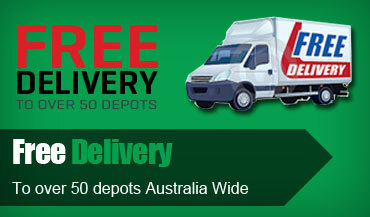 Enter your postcode at our Shipping page to find the closest depot to you in Melbourne. Looking for an installer in Melbourne? Take a look at our Installation Service here. Clayton Depot - 1657 Centre Rd, Clayton, VIC, Australia, 3168. Campbellfield Depot - 10 Stubb Street, SOMERTON, VIC, Australia, 3062. Our garden sheds are dispatched in 3-5 business days from order. Most orders arrive at the depot in Melbourne within 7 days. But we always say 14 days to exceed expectations. If there are any issues with parts or even damage in transport, we will replace those items at no cost to you. So feel comfort in shopping for garden sheds in Melbourne or anywhere in Australia with gardenshed.com.au.